Susan Smiley is Harvard-trained in the neuroscience based program, Mind, Brain, and Education. While there she focused her studies on the life-long effects of traumatic stress on the brain and nervous system. Her deep interest and expertise is in applying cutting-edge technologies to help train the brain for maximum performance. 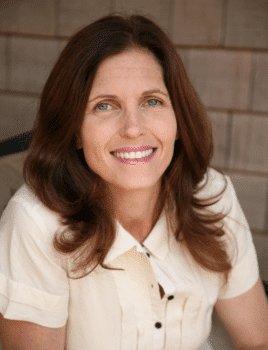 She completed advanced neurofeedback training at EEG Institute in the Othmer Method, and is a Certified Practitioner of IASIS Microcurrent Neurofeedback. Over the years she has successfully worked with hundreds of clients, remedying any array of conditions using state-of-the-art of neurofeedback techniques. Previous to returning to graduate school for the Harvard program in 2012, Susan was a successful documentary producer. She went public with her own personal story as told in the acclaimed PBS film Out of the Shadow. An intimate portrait of her mother’s battle with schizophrenia, it is also a moving chronicle of Susan and her sister as at-risk children enduring chronic adversity. The film is now widely used to train therapists, physicians, psychiatric nurses, social workers, public health and other allied mental health professionals. These experiences as well as Susan’s success with neurofeedback training for her own healing, are what drive her work to help people of all ages – from toddlers the seniors – by using neurofeedback. This also drives her passion in educating the public about its efficacy. Susan received her B.A. from University of Illinois at Urbana-Champaign with a double major in Biology and English Literature and a minor in Psychology, and her Ed.M. from Harvard University.